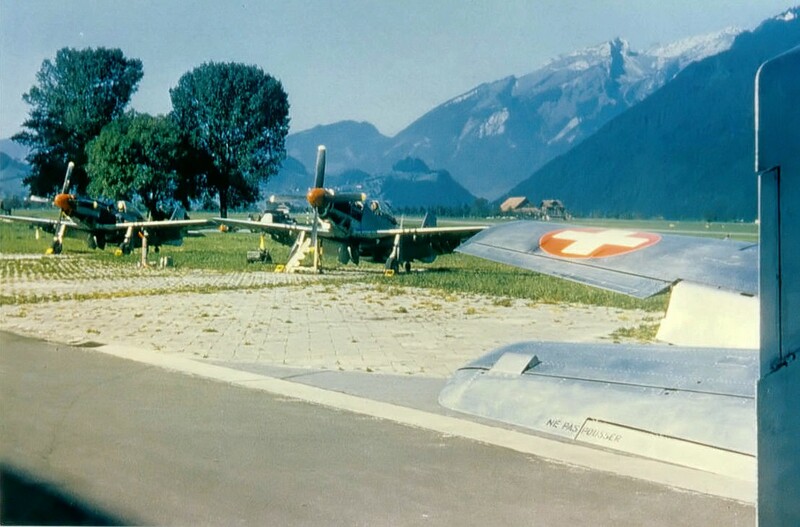 Dispersal at Buochs during the early 50's (via R. Küng). 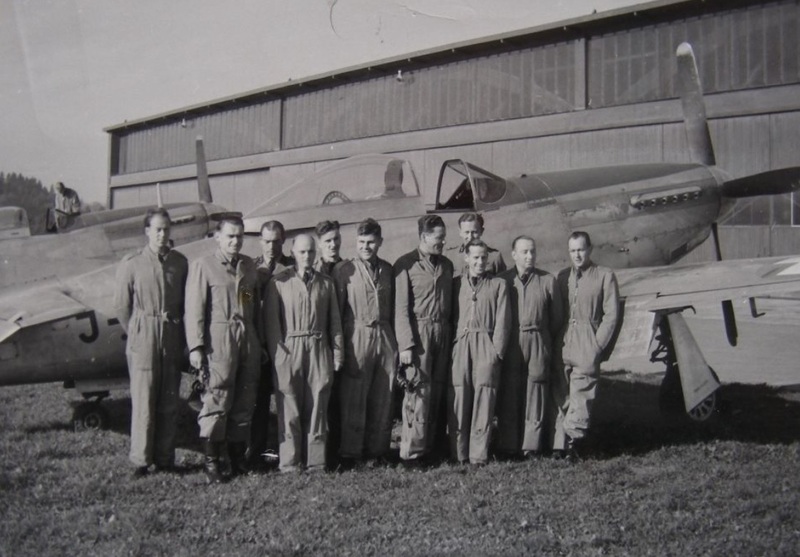 This page covers details on the service life of the 130 North American P-51 Mustangs with the Swiss Air Force, especially the units equipped with this type and also on major modifications of Swiss origin applied to the aircraft. We will also provide information on accidents and specially equipped aircraft, such as reconaissance versions and two-seat conversions. 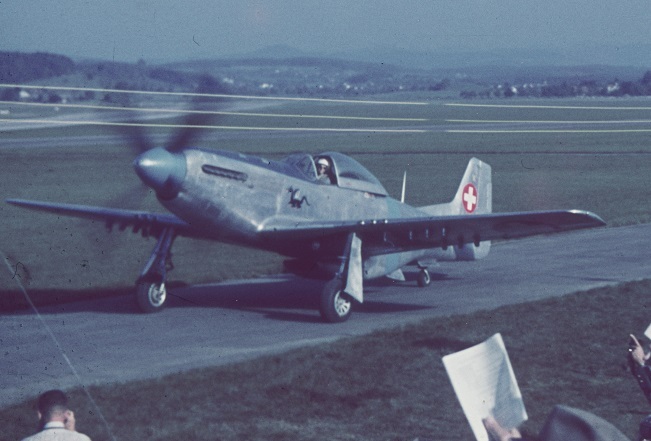 P-51D-25-NA J-2061 (44-72774) taxying at Dübendorf, during the Flugmeeting 24th & 25th September 1949. Pilot was Oblt. Fritz Genner. 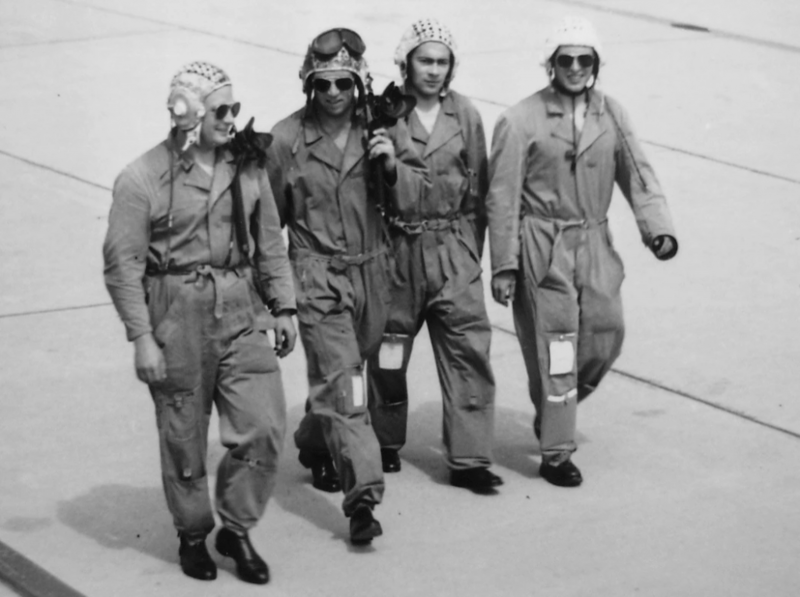 P-51D pilots of FlSt 20 walking to their aircraft, Summer 1953 - note the variety of head-gear worn during that time. 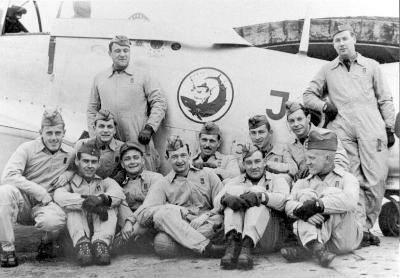 Pilots of FlSt 21, early 1954. 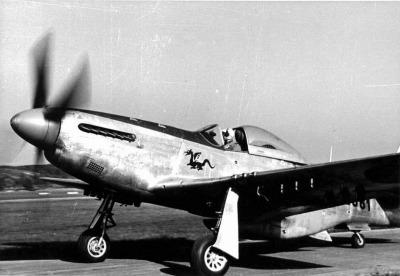 The aircraft is P-51D-20-NA J-2107 (44-63619). 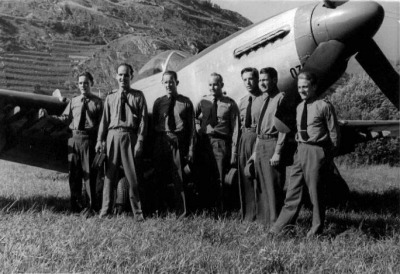 This ship is one of those converted to F-6D standard (reconnaissance version) in Switzerland - see pilot at far right leaning on the camera-port for oblique images. Also of interest is the FlSt 21 badge on the fuselage ! The Swiss AF Museum example (J-2113) also has been adorned with this badge; it never carried it during its active service, though ! Oblt. 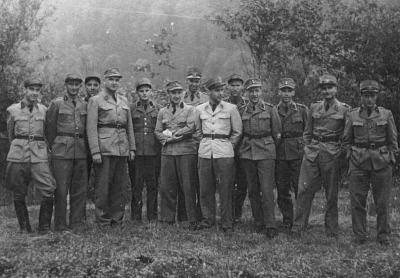 Alfred "Mausi" Muser, Deputy-CO of FlSt. 21. 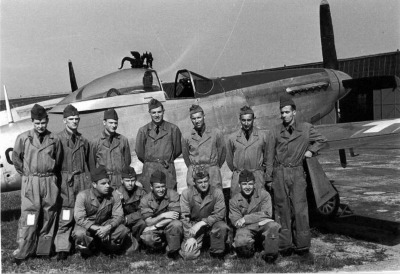 He was a long-time member of this unit, having flown Me-109's and D-3801's before the P-51D. 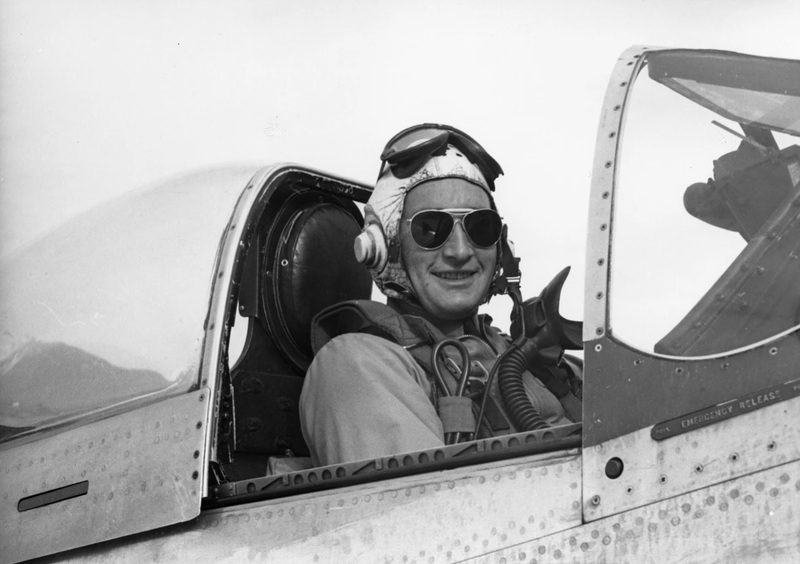 In civilian life he was commercial airline pilot with Swissair and Balair. 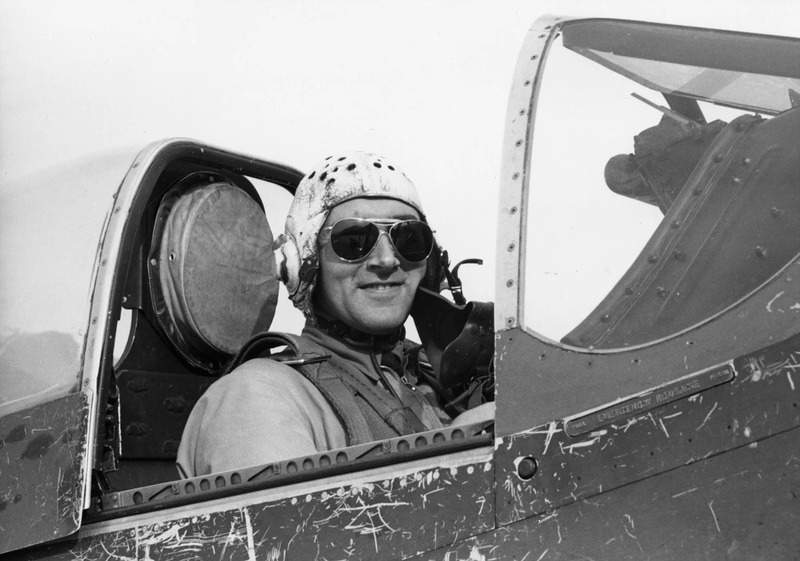 Lt. Kurt "Schmuck" Schmucki, member of FlSt 21 - he was lost on 2nd March 1954 in a fatal crash: when his P-51D-20-NA J-2048 developed engine trouble, Schmucki tried to make an emergency landing on a small airfield, but unfortunately clipped a tree on final approach and crashed.